Die struck, magnetic badge with a silver wash. 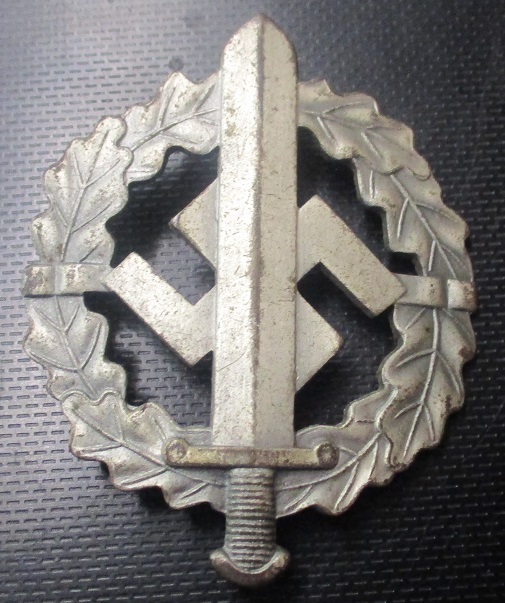 Reverse is well marked with embossed, third pattern inscription, (circa 1939-44), "Eigentum der Obersten S.A. Führung", (Property of the SA Supreme Command). 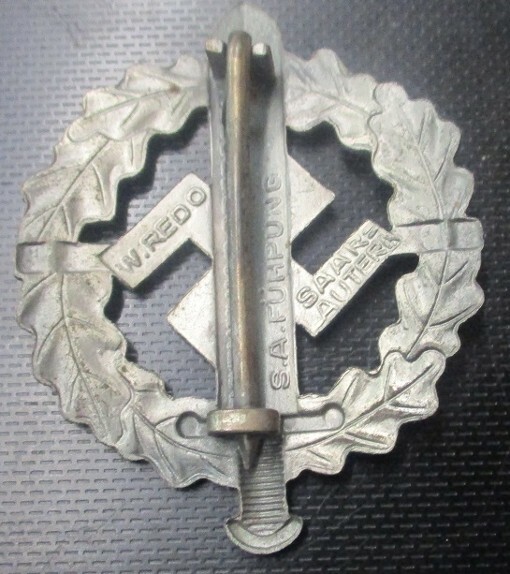 Reverse also has embossed manufacturers name and location, "W. Redo Saarlautern". Excellent and far harder to find than the bronze version!